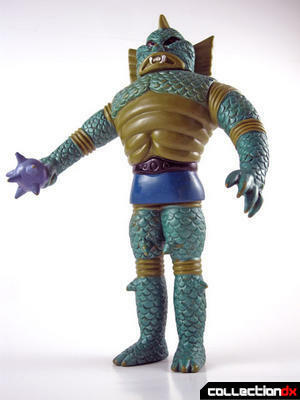 For my money, Jupiter King is the best figure in the Space King series by Bullmark. The Japanese version of the Colorforms Colossus Rex, it maintains the excellent design of the original figure while fitting in nicely with the Japanese vinyl aesthetic. 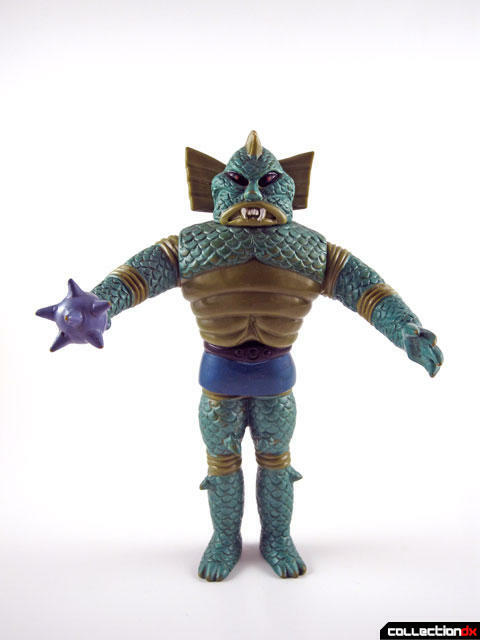 The figure stands just a bit more than 8.5" tall and is articulated at the shoulders and neck. 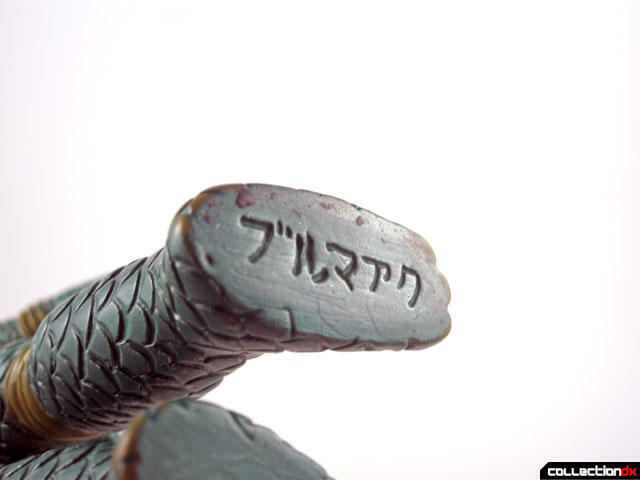 Like others in the series, it's weapon is molded directly into it's hand and "Bullmark" is stamped into the right foot. 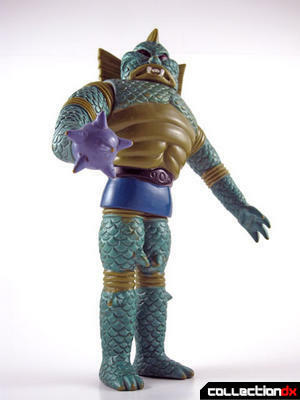 There is one other figure in this series that I don't have (Neptune King aka Astro Nautilus; they never made an Alpha 7 figure for some reason) but I think this one is my favorite from the series. This is such a well designed character that thus far every version made of it looks really nice. 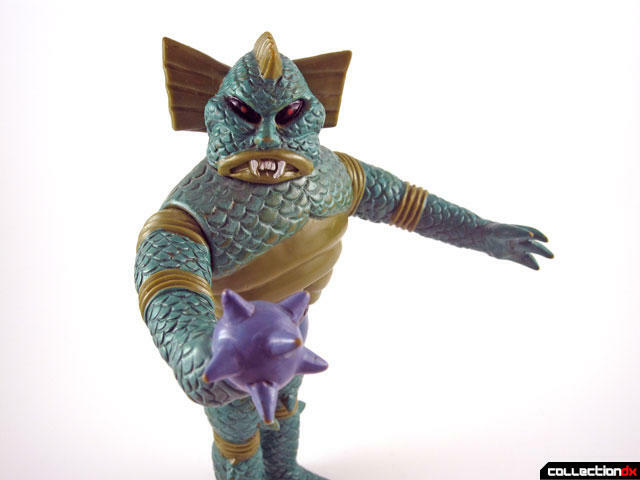 Additionally, it's image has been "borrowed" not just for this series of toys, but also in the literary field. 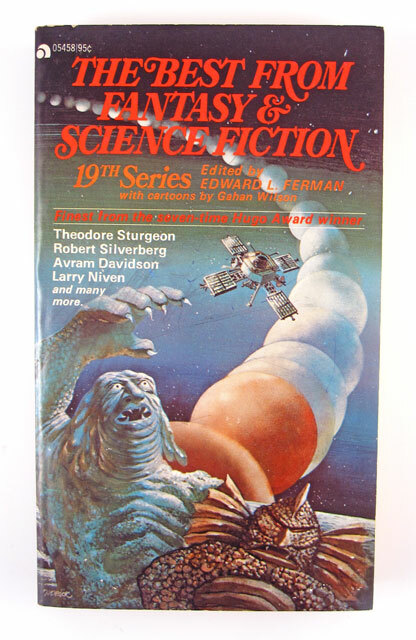 The cover art for the 1973 Ace paperback "The Best From Fantasy And Science Fiction" features an image that is clearly based on this character.